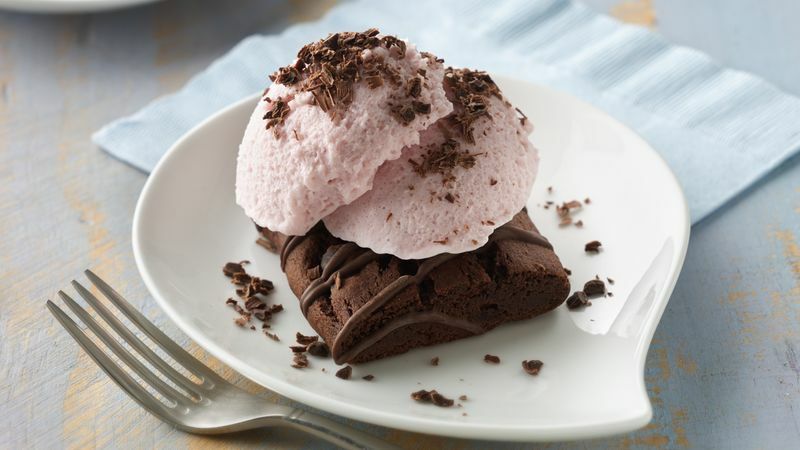 Top brownie with yogurt mousse. Sprinkle with shaved chocolate. Fiber One™ bars work great with yogurt mousse!. Experiment with other flavors, too--try the lemon bar with the blueberry yogurt mousse. Yum! For a fun twist, use white chocolate in place of dark.